Woke up this morning to start on my second day of The Clean Program and realized it was time to spring forward and move our clocks one hour ahead for Daylight Savings (which, by the way, a lot of people think needs to end forever). 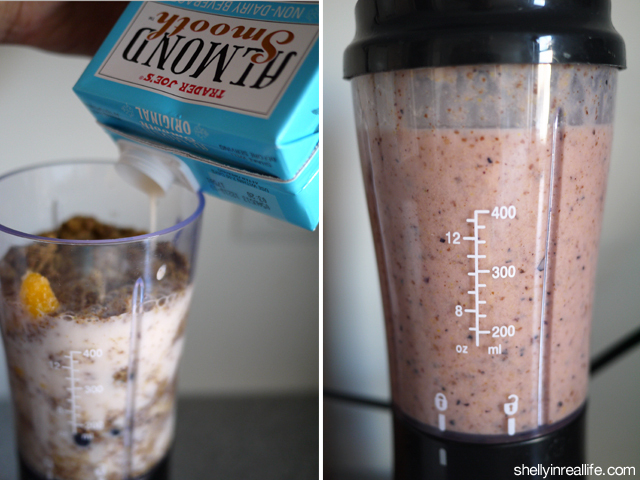 I woke up a bit late but managed to make a quick smoothie before heading out to kickboxing. 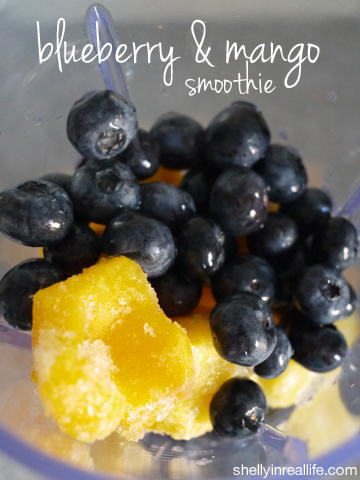 My favorite fruit in smoothies is mango, so I will almost always add that to my smoothies. 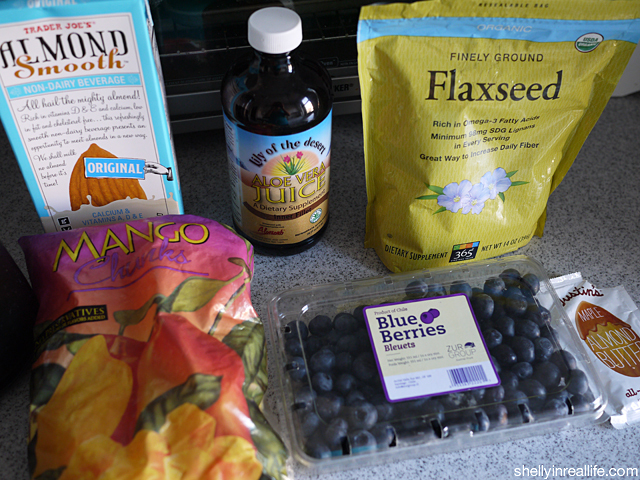 And since I got blueberries from chinatown for $1 the day before, I added blueberries to the smoothie. 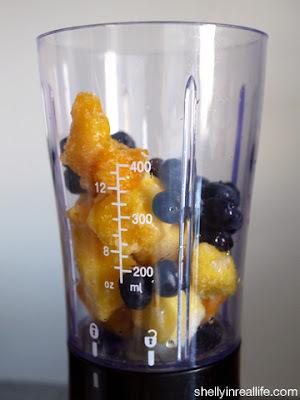 So there you have it - a Mango Blueberry Smoothie. It's really that simple. 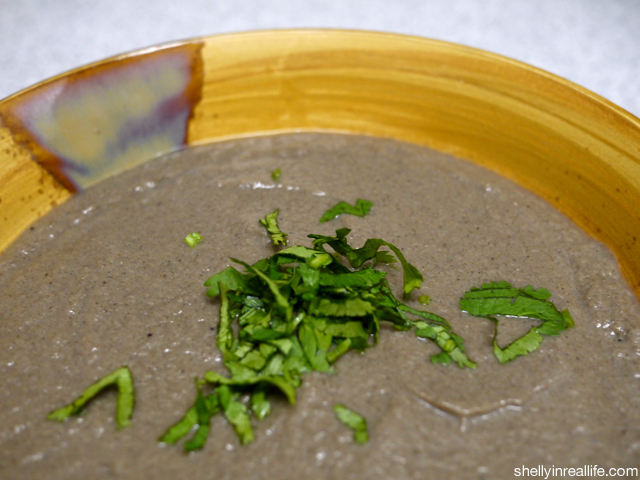 Learn more about different smoothie ingredients in Smoothies Recipes for Elimination Diet. Voila! There you have it, a breakfast that takes less than 5 minutes to prepare. Just be sure you always have some fruits on hand and you won't go hungry. Hopefully in the upcoming weeks I'll work to explore a bit and branch out of my comfort zone to try new smoothies. Then to stock up for the rest of the week, I picked up some more goodies. 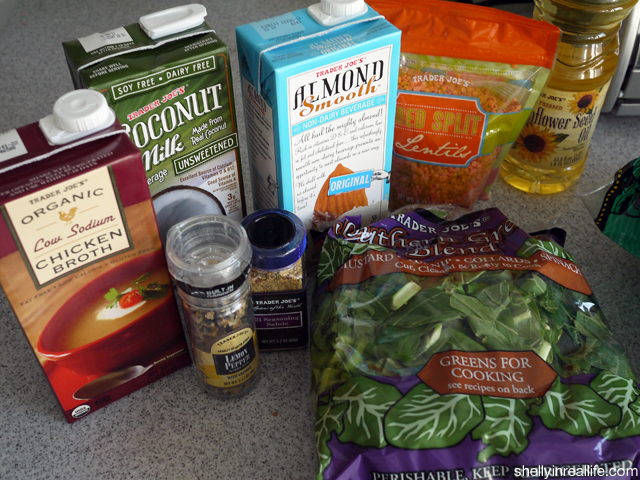 Almond and coconut milk for smoothies (it's the cheapest that I've found) and also some more broth to make soups with. 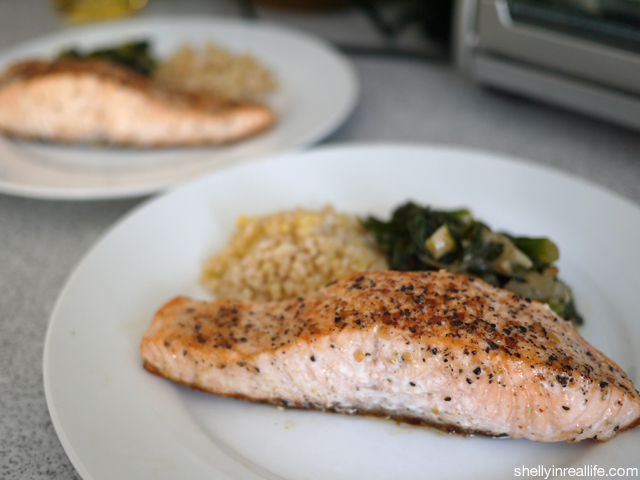 I also picked up lemon pepper and their 21 seasoning saute to make quick stir-fries. More about that later. Finally for dinner, I sautéed some mushrooms with onions and added stock. Cooked it for a bit and blended, and there you have it! A liquid dinner. Day 2 of the cleanse hasn't been too bad, obviously, because it's the second day. I think it's only going to get harder after a tough day at work and I want to relax with a glass of wine...or two... Until Tomorrow!